Matt Novak is writing a book about all the movies that American presidents have watched while in office, from Teddy Roosevelt to Donald Trump. Tentatively titled All The Presidents’ Movies, the book is due out September 2020 for Abrams Books. This is just a place to share some of my research, as well as “this day in history” movie screenings from the White House, Camp David, and Air Force One. You can also check out my Instagram account. 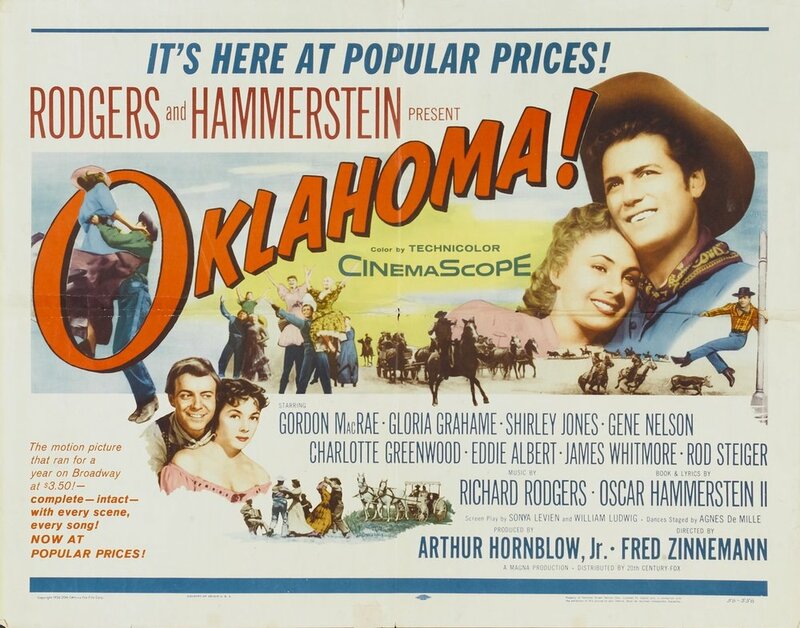 President Dwight Eisenhower watched the 1955 musical Oklahoma! on November 21, 1956 in the White House. He was joined by First Lady Mamie Eisenhower and Mamie’s mother, Elvira Doud. Ike lovingly called his mother-in-law “Min” after a character in the newspaper comic strip The Gumps which ran from 1917 until 1959. Ike and Mamie’s parents lived in the White House and the projectionist, Paul Fischer, would always note in his log books which family members were in attendance during any given screenings. You can watch the trailer for Oklahoma on YouTube and the full film is available on Amazon.